I knew it would be good on Chesil for Bass this weekend, I just didn’t think I would be there to witness a great Bass being caught. My mate Paul managed this lovely Bass at just under 12lb caught on Ragworm and Peeler Crab. 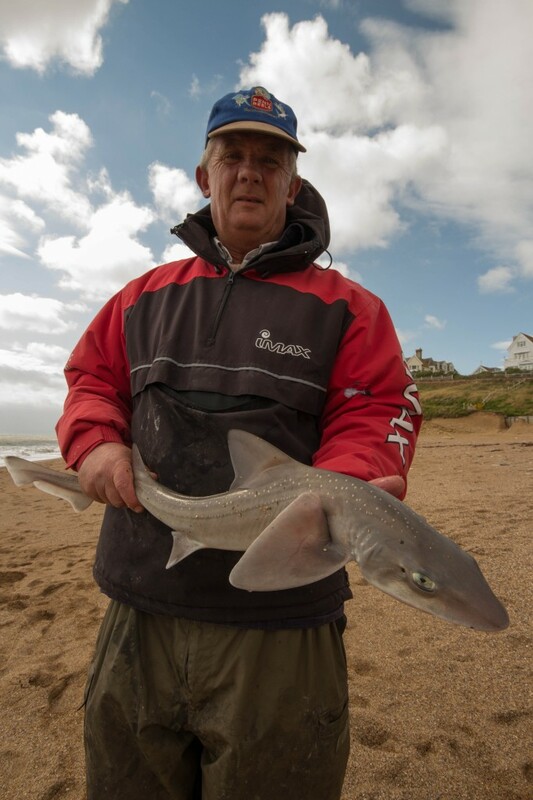 We had loads of other species including Dogfish, Pout, Wrasse and some lovely Smoothound. All fell to live Peeler Crab. Chesil was not the only beach to produce fish. A few nice double figure Undulates were landed at Seaton and Preston Beach produced a mixed bag. Species included Gurnard, Dabs, Flounder, Smoothound, Bass and a Ray. Chesil Beach: Small swell of less than 1m, water is coloured. Portland: 1m swell. Water is fairly clear towards the Bill and on the East side. Chesil Beach forecast: The sea had died down a lot over night, but the winds have picked up again making it a little bit rougher. I would expect to find Bass still in close mopping up the food disturbed by the surf. Conditions are excellent if you fancy trying it. Plenty of Smoothound on the beach and as the water clears throughout the week I would expect to see Gurnard and Bream showing. It is still too coloured to bother trying for Mackerel. The usual Dogfish and Pout will be around during the day and night. Portland: I am sure that the Wrasse will be happy to feed again now that the swell has died down a bit. Pollock and Bass are a good possibility around dusk this evening. As usual I always so go for a lure for your best chance. 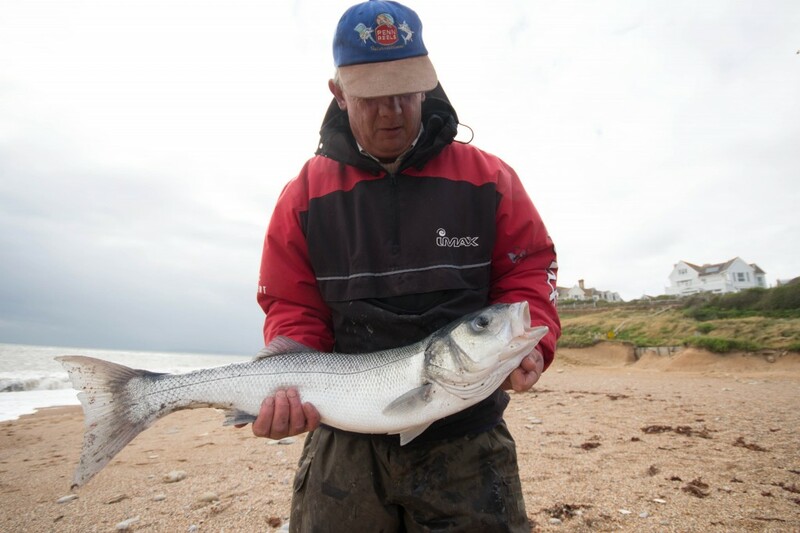 Weymouth Bay: The harbour is full of Mullet, mostly Thick Lipped, that can be caught on float fished bread. I went down to the Stone Pier on Saturday to take a few pictures and I was disgusted by the scene before me. A family of scum had set up camp on the pier and scattered litter, bait and dead fish everywhere. They were loud mouthed and abusive to everyone around them. Why are these people allowed to get away with such appalling behaviour. Thankfully they have crawled back to where ever they came from and the pier is now an option that we can fish again. Preston beach is anotehr mark that is producing well at the moment. Lots of different species within easy casting range. Hi, can anyone tell me if Chesil has got rid of the bloom yet?